THE former chairman of HS2 has said the project was misnamed, because the arguments in its favour are more about capacity and connectivity rather than high speed for its own sake. The first phase of the 360km/h line is scheduled to open in 2026 between London and Birmingham, and then on to Manchester, the East Midlands, Sheffield and Leeds by 2033. Others, including transport commentator Lord Berkeley and railway costs specialist Michael Byng, have already sounded warnings about the unrealistic budget, but so far the Department for Transport has insisted that the ‘funding envelope’ will be enough. Sir Terry told the Committee: ‘I think most people regret actually calling it HS2. It is about creating capacity. Connectivity is a really strong issue, particularly when you look at the Midlands going north. Sir Terry has also come under fire recently over the management of the London Crossrail project, amid a continuing controversy about who knew – and when they knew – that trains are unlikely to run under central London between Paddington and Liverpool Street before 2020, instead of December 2018. The HS2 project itself has continued to be beset by criticism, including suggestions that the speed is unnecessarily high. Commons leader Andrea Leadsom, who is also doubtful about the viability of the project, said HS2 chief executive Mark Thurston had conceded several ways to reduce the cost, such as reducing the speed and also cutting the number of trains from 18 to 14 an hour. Mr Thurston has confirmed that various cost-cutting options were discussed, but added: ‘I was also clear that HS2 Ltd is working to the scope and budget of the project which the government has set, and for which detailed debate in parliament has taken place. 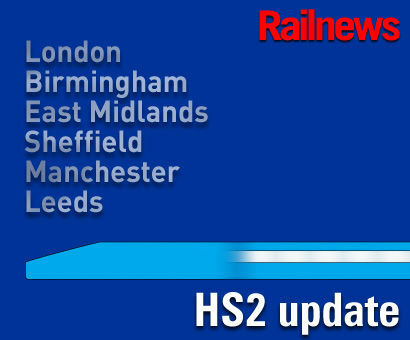 HS2 gained its name after the Channel Tunnel Rail Link was renamed HS1 in November 2006, a year before the high speed line to the Channel Tunnel opened throughout and the London terminus of Eurostar moved from Waterloo to St Pancras International.